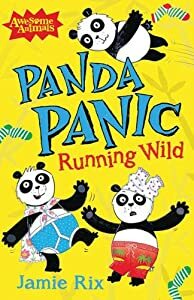 In Panda Panic: Running Wild , Ping the panda is on the hunt for adventure. When he gets swept down the river, he finally finds the excitement he's been waiting for. But will the shadows, bandits, and lurking snow leopards prove to be too much adventure even for Ping? I love the way that the author in this story can weave a tale with humor and adventure. This book has both and it was a blast to be able to read this with my eldest daughter (She actually read it to me). I love it when we can not only share a laugh, but share a great story and in the end want to read even more! This book does just that!